Your home desperately needs a makeover and no one knows that better than you. It’s the first stumbling block that is creating the problem for you – choosing color for your home decor. With us, should you be worrying over such a thing? Not at all. So, let’s share some home decorating ideas that will help you to choose the color palette for your home. You should know what’s trending in home decor, right? Yes, there are some colors which are in and some which designers do not prefer much. Neutrals are in now. White and soft colors never go out of fashion due to their eternal appeal. Warm colors like orange, yellow and purple are also getting many likes. However, if you want a unique look for your home, go for zebra designs or intense contrasts like red and green. Are you unable to decide how to start? Well, get a floor plan of your house for an easy reference. The rooms that are interconnected or the one that can be viewed from another one should have similar colors. You may also start from the most centrally located room in your house, namely the living room or the kitchen. Choose a neutral color to be safe if you are unsure of your own choice. 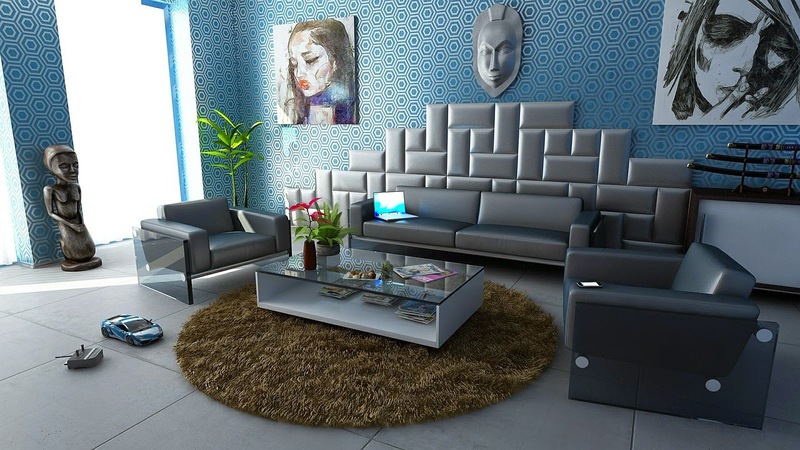 Nowadays, most interior decorators advise to add pop of colors to make a room look vibrant. So you can add colorful mats or curtains or vases to create focal points in the room. Choose a few colors from the color palette and use them in the home décor. An off-white painted room would look warm with a vase full of red roses. You may also choose to have orchids to add a touch of green. For a warm glow add a big sofa in yellow with multi-colored cushions thrown in. As you proceed from the central room, keep on adding colors from the color palette. Your bedroom can have an ocean theme with different hues of blue mixed and matched to create a tranquil effect. For the kids’ room opt for warm and vibrant colors. Placing mats in geometric designs or having bright colored curtains can also do the trick. If you love bold colors, go for them. However, beware of having too much of bold colors in adjacent rooms as that can break the harmony in the decor. Home decorating ideas should be used keeping in mind harmony of colors. You can get creative with different colors and create intense contrasts but in small proportions to create the right effect. We hope you have already decided on the colors for your home. Let us know how your home looks after the makeover.